If “the poem does not start until you start to tell the truth,” then a poet’s work is to be relentless in the search for that truth. Globe-trotting poet Titilope Sonuga has you dig into the bone, creating poems from a deeply personal place, while striking a balance between maintaining the integrity of your truth and respecting your audience. The Vancouver Poetry House respectfully recognizes that our series events take place on the traditional and unceded territory of the xʷməθkʷəy̓əm (Musqueam), səl̓ilwətaɁɬ (Tsleil-waututh), and sḵwx̱wú7mesh (Squamish) nations. We recognize the colonial violence that led to the creation of Vancouver, and how that allows our organization to exist. We aim to always be cognizant of who is represented on our stages, and to do what we can to reach out to communities who are underrepresented thereupon. 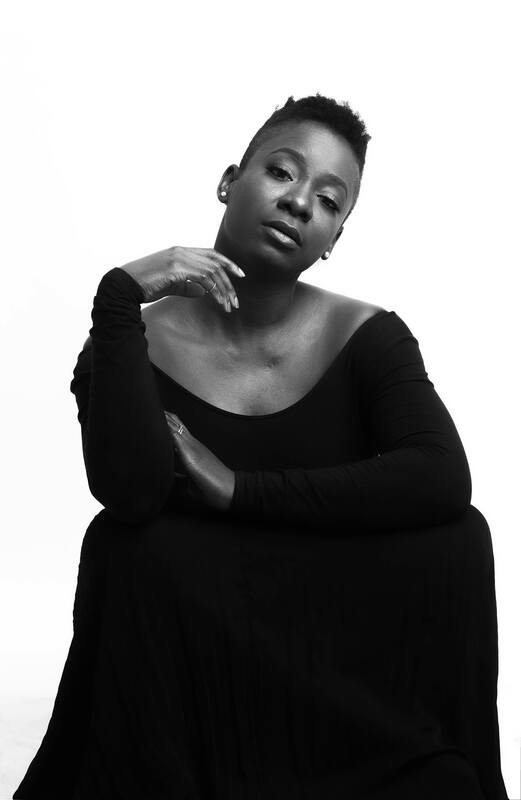 Titilope Sonuga is an award-winning poet, writer, and performer who renders both in verse and in performance, a remarkable elegance of craft, a quality of rootedness and an unflinching womanhood that has made her an internationally celebrated artistic voice. She has graced stages across Canada and the globe and is the first poet to perform at a Nigerian presidential inauguration, performing an inaugural poem in May 2015. // She was a speaker at TedxEdmonton in 2014 and served as the 2015 – 2016 ambassador for Intel Corporation’s She Will Connect Program in Nigeria, advocating for women and girls in the STEM fields. She has published two collections of poetry, a spoken word album and had her work translated into Italian, German and Slovak. Her next collection, This Is How We Disappear, is forthcoming in 2019. Once inside, you’ll find a spacious wood-floored hall, open concept, tables and chairs set up throughout. The stage (accessible only via stairs) is to your left, and the washrooms towards the back of the hall. The washrooms are currently gendered, but will be marked “gender neutral” for Verses. There are two sets of washrooms. The one to the right of the car, currently mark “women” is wheelchair accessible with no urinals and one additional stall. The one to the left of the bar, currently mark “men”, is on the same level and is now wheelchair accessible, with 2 urinals and one wheelchair access stall and one non-wheelchair access stall. The door has been adjusted to more easily fit wheelchair/scooter users. Overall the space is great. Please read the Radical Accessibility Mapping Project’s Wise Hall overview for more details.